Dude - Valley Riding, Inc.
Dude is a 9 year old, chestnut quarter horse. He comes to us from a former student and enjoys jumping and dressage. His kind and easy going temperament and flashy looks have made him a favorite here. Dear Dude, I love you because you ar so sweet and cute. 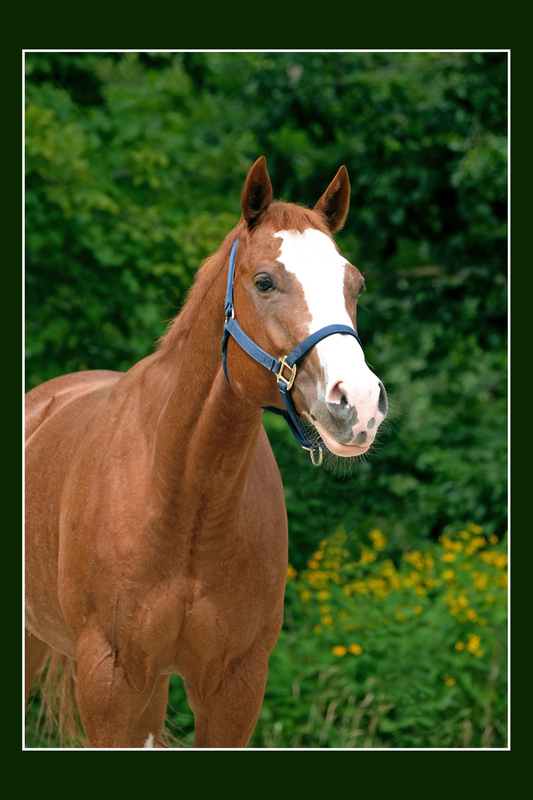 I love your color and white blaze. I just rode Dude today and he was amazing. I hope I get to ride him again. Valley Riding needs your support to help us strengthen our Rocky River program. We are offering you the opportunity to sponsor a stall of your choice. Through stall sponsorship you can assure that equine assisted therapeutic, educational, and recreational programs will be available for greater Clevelanders.